A terrific value for the classroom! Longer handles provide superb control for elementary-school age children. 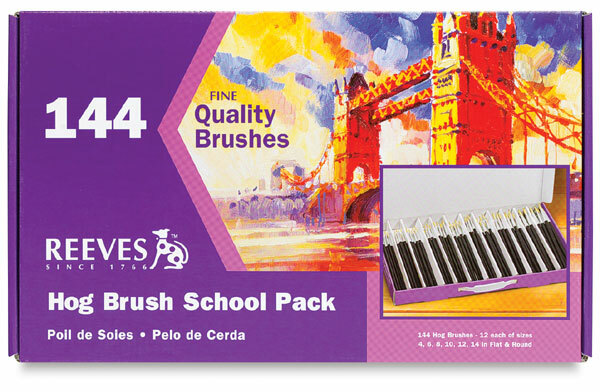 Each brush includes a seamless aluminum ferrule. Bristle is a durable brush hair for medium-to-thick oils and acrylics.